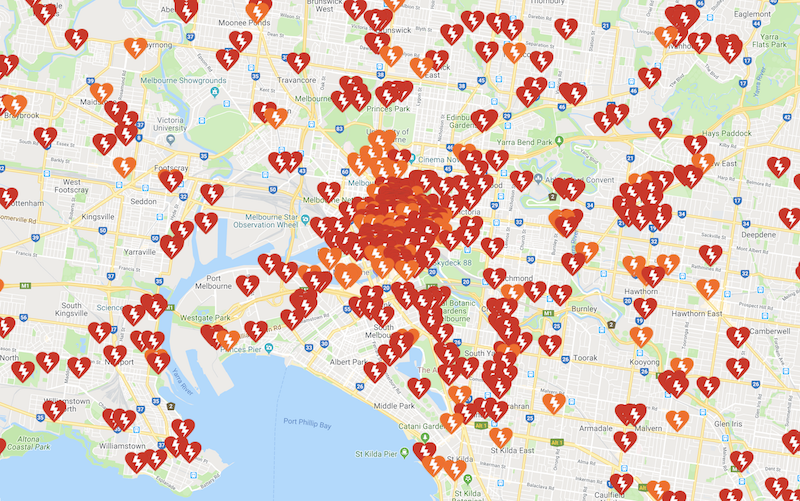 There are many more AEDs out there and we figured that many of these are not fixed, but travelling around in people's cars. 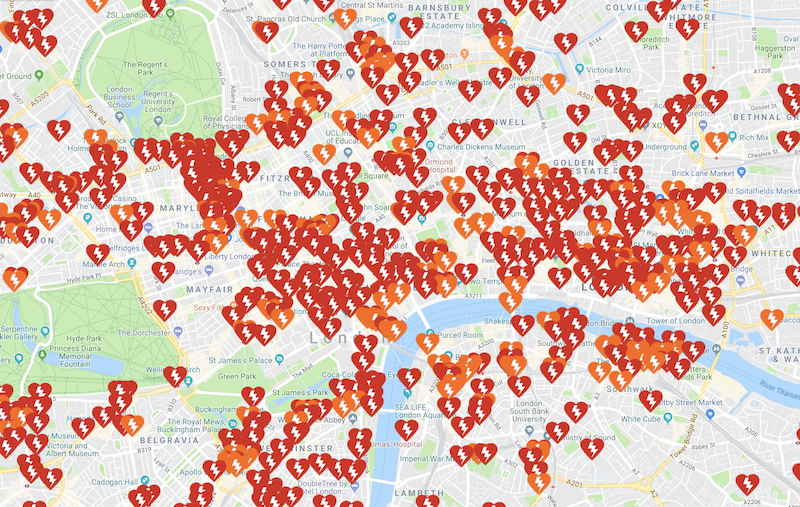 In London over 900 police vehicles have AEDs. 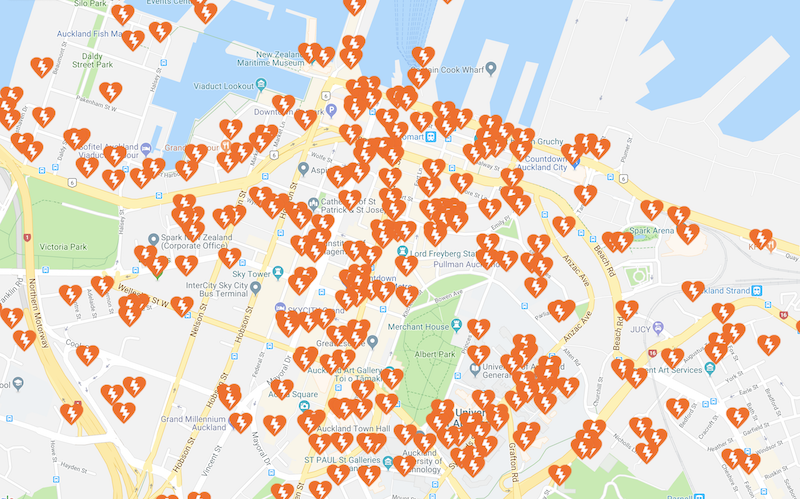 In some places, taxis carry AEDs and of course many first aid trained people doâ€¦ and so we have now introduced the world's first mobile AED registry! We believe that AED data should belong to the statutory ambulance service and share our data with our ambulance service partners. The data is also open to everyone in a location controlled manner.